The long summer days are in full swing and I couldn’t be happier about it. Cut-offs, tank tops and dresses are on major repeat. With my skin being exposed most of the time, I want it to be protected and looking healthy and moisturized. 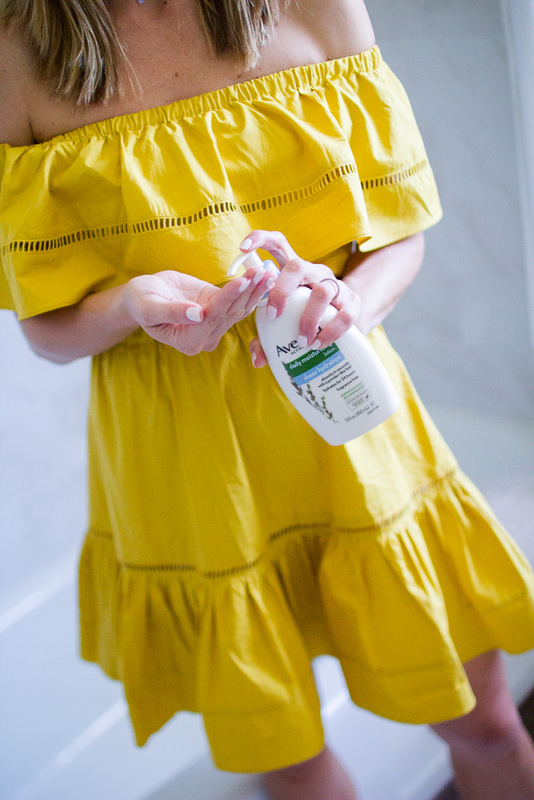 That’s why every day I use Aveeno Protect + Hydrate SPF 30 and Aveeno Daily Moisturizing Sheer Hydration Lotion. I make sure to put on the SPF before I head out (and if you’re in the sun all day, make sure to reapply!). The sunscreen not only protects my skin, but also is super breathable. Afterwards I use the Sheer Hydration lotion to keep my skin looking healthy and beautiful. 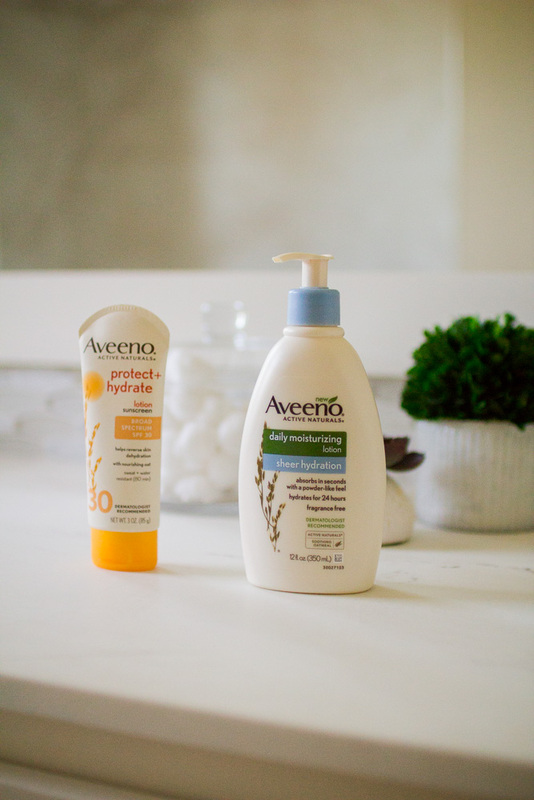 My #SummerSkin has never felt better! One of Sutton’s favorite places to play is outdoors so sun protection is a must. These products help make mom life much easier. What are some of your summer essentials? 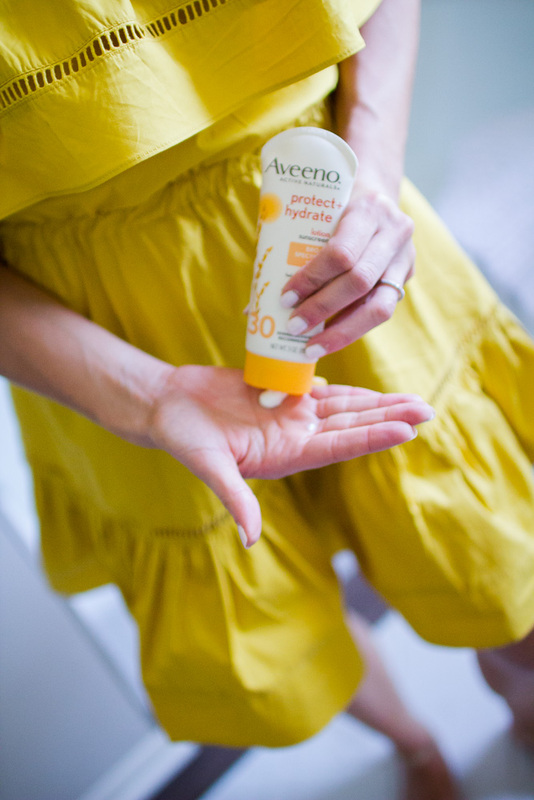 Share on instagram with #SummerSkin and tag @AveenoUS. In collaboration with Aveeno, all opinions are my own. I love that dress! And Aveeno! 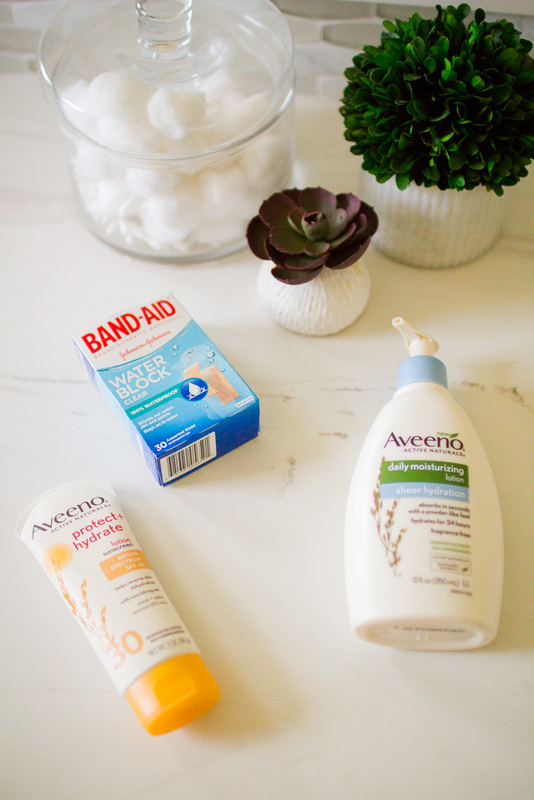 Avene is on my favorite skin products.